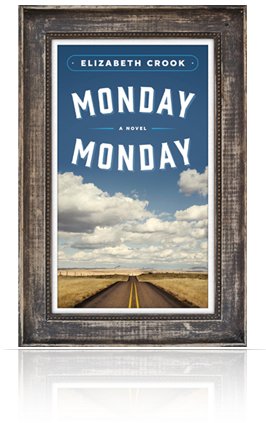 I walked around clutching Elizabeth Crook's Monday Monday to my chest the whole week I was reading it. About how we save ourselves and others, about Texas and the Charles Whitman shootings, about love and really, about life itself, it's the kind of book that's so real, so grippingly alive, that when you tear yourself away from the pages, you feel disorientated. 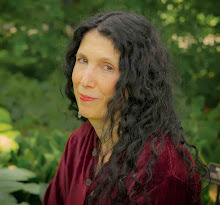 She's also the author of The Raven's Bride, Promised Lands, and The Night Journal. 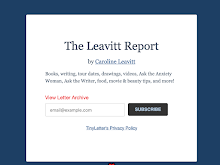 She's written for periodicals such as Texas Monthly and the Southwestern Historical Quarterly and has served on the council of the Texas Institute of Letters. She is a member of Western Writers of America and The Texas Philosophical Society, and was selected the honored writer for 2006 Texas Writers' Month. 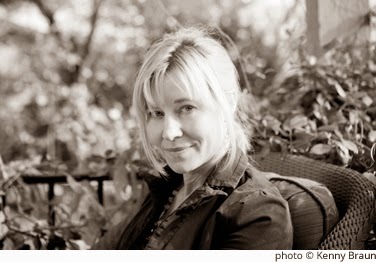 Her first novel, The Raven's Bride, was the 2006 Texas Reads: One Book One Texas selection. The Night Journal was awarded the 2007 Spur award for Best Long Novel of the West and the 2007 Willa Literary Award for Historical Fiction. Q: I always want to know a novel’s origins. Can you talk a bit about what sparked the novel? A: This might sound hard to believe but I initially intended for this book to be a comedic story about a mother and two daughters--nothing to do with Charles Whitman. I’d written books with heavy themes before and wanted to do something different this time. But from the beginning, the story I planned to write just wouldn’t happen. I couldn’t get excited about the mother or her daughters. It all sounded soft and completely irrelevant. And then one day a Texas Monthly with a dark cover image of the UT tower and the title UT’s Darkest Day: Charles Whitman 40 Years Later landed in my mailbox, and my heart started pounding the minute I saw it. The story was a chilling account of Charles Whitman’s 1966 massacre from the tower as told by people who were there, and it was written by Pam Colloff—a spectacular writer. My heart pounded the whole time I was reading it. The next thing I knew, the mother in my story had developed a past as one of Whitman’s first targets. The story had shifted backwards by forty years. And nothing was very funny anymore. Q: The novel spans those forty years. What was the research like? What surprised you about it? A: This book required less research than my other three, which were more specifically historical novels—one set in Tennessee in the 1820’s about Sam Houston’s disastrous first marriage, one in Texas during the revolution of 1835-36, and one in New Mexico in the 1890’s. With this one I was writing a story that people I knew had actually lived through or watched live on television, and that was a whole different kind of research. Along with the usual online search for information, I could call up friends and say, “What did you wear in 1966? What did your eyeglasses look like? What did you carry your books in?” I live in Austin where most of the novel takes place, and a lot of the people who were involved in the Whitman incident are still around. During the time I was writing, I would go to a dinner party and find myself by chance seated beside Neal Spelce, the reporter who broadcast the event as it was happening. Or I would read an article about the shooting and discover that a dear friend of mine—a retired history professor whom I’d known most of my life—was the person who had placed the initial phone call to police when the first shots were fired. I would learn that one of the reporters on the scene when police entered Whitman’s house after the shooting and found Whitman’s wife stabbed to death in the bed, was Mike Cox, whom I knew, now forty years later, as my fellow member in the Texas Institute of Letters. The person who owned the apartment building where Whitman killed his mother before he went up in the tower, and who admitted police into the apartment and found her body, was also someone I knew. Just recently I was at a party for the faculty of the Plan II program at UT where my husband currently teaches, and when one of the faculty asked me what my book was about and I told him, he said he had been there that day. He knew four people who were killed. He had tried to revive one of them on the Drag. This is how it is in Austin today. We’re a big city, but this story is still with us, and researching was often as easy as making a phone call. With my first two books, in the early nineties, I relied on libraries. With my third book I relied on the internet. With this book I relied on friends. Pam Colloff kindly gave me the numbers of others to interview, and everyone was extremely gracious. Q: What I loved most about your novel was how blazingly alive your characters are, how we come to know and care about all of them deeply. Can you talk a bit about how you develop your characters? A: I wish I could say that creating these characters was easy for me, but I had to do it by trial and error—the same way I created the narrative. My friend Steve Harrigan, who’s been nice enough to edit early drafts of my writing for the past twenty-five years, kept telling me Shelly and Wyatt were not yet interesting enough to carry this story—and he was right. So I kept going back at them. I changed their backgrounds, their ambitions. I changed their relationship—a lot. About six drafts in, I changed Wyatt’s name: he originally was Philip. Both of these characters—and all the rest, really, were unclear to me for a long time before they became clear. It makes me incredibly happy that you found them real and cared about them. It’s important to me as a writer, and as a reader, to have characters behave as they would if they were real people. And it’s tricky to make that happen—you have to know your characters thoroughly, and see everything through their eyes, in order to know what their authentic reactions would be. And if those reactions don’t go with the plot you envisioned, then you have to alter either the plot or the characters. It’s essential that they fit together and that everything makes sense, because, for me at least, it’s hard to care about characters if you don’t believe in them or their story. I’m tremendously lucky to have intuitive people like Steve Harrigan, and like my agent (and yours!) Gail Hochman and my editor Sarah Crichton, who will notice when something about a character doesn’t ring true. I always take that kind of comment seriously and start making changes. I had to stick very close to Shelly all the way through, and ask myself, what does she really feel here? Not what do I need her to feel—but what does she feel? That’s what’s going to determine how she reacts and what the story becomes. Would this character really do this? Would he say this? Would he say it this way? Is this what would actually happen? These are the questions that matter to me when I’m developing characters. Q: For me, so much of the novel was about how we are saved by others--and how we save ourselves--both in the light of one terrible tragedy and the numerous tragedies that life bestows on us. Could you talk about that please? A: That’s a huge theme in the book, starting with the Whitman shooting. I think all of us wonder how we would behave in the case of a mass public shooting. Would we be heroic and risk our lives to rescue others? Or would we not? Charles Whitman ushered in the age of these heinous school shootings that have become so commonplace, and at the time people had no frame of reference for something like that. While you and I, today, can consider ahead of time how we would hope to react, in 1966 people didn’t have any reason to wonder about that. School shootings were unheard of. Most people didn’t believe it was happening even as they watched it: they thought they were seeing an act put on by the drama department or a study invented by psychology students to see what people’s reaction would be. They thought the sound of the gunfire was construction on the Drag. There were those who ignored the wounded—actually stepped over them—believing it was a drama. There were others who ignored the students standing at doorways trying to warn them not to go outside, and then walked right into the path of the bullets. One couple out touring the tower deck stepped inside and encountered Whitman holding a rifle and standing over a trail of blood from Edna Townsley, the receptionist whom he had just bludgeoned, and they thought he was a janitor who had come to shoot pigeons. They thought the trail of blood was varnish he had wiped on the floor. That’s how unsuspecting people were at the time. They said hello to Whitman, and stepped over the blood, and started down the stairs, having no idea that Edna Townsley was bleeding to death under the sofa where Whitman had stashed her. But as the narrative unfolds, we see it’s not the shooting that causes the worst damage and the worst suffering for Shelly and Wyatt, and from which they need rescue. It’s their own actions—the love affair and its consequences. It’s their own grave errors from which they have to save themselves and each other. Their lives aren’t only determined by brutal happenstance, but by the choices they make afterwards—just as destructive, but in the end beautifully redemptive. Q: Monday, Monday took you seven years to write. Was there ever a moment in the process where you felt you had lost sight of the novel or it took a turn you didn’t expect? How did you manage to keep on track and keep going? Without giving anything away, I’d love to ask you about how you came to your perfect ending. Though I yearned for something else to happen, it felt exactly right. Do you know your endings before you start, like John Irving, or is it more of an organic process for you? A: The entire story was absolutely up in the air when I started. At some point along the way—some later draft—I knew the book would begin and end at the tower, on a Monday, and a Monday. It takes me forever to write a book—seven years is about average for me. I read slowly and write inefficiently. I don’t have much vision when I start out—it’s really a matter of finding the way. Ideas don’t come to me out of the blue; I have to figure them out. And often I figure them wrong and have to go back and refigure. But I like this process. It means exploring a lot of wrong roads before I find the one I want to be on, and then I can be on it happily and with some certainty that this is the one. One gift I have as a writer is flexibility. I re-write everything dozens of times. If something doesn’t work, I change it. I ditch characters. I veer off. I lop off scenes and replace them with others. I listen to criticism. And of course, the days—the years!—add up. None of this is to say I wouldn’t choose to me a more prolific writer if I could. I envy authors like you who can write so many great books. And you’re a prolific reader, too! I’m deplorably slow at reading, which is not only a handicap to my writing, but a deep personal regret. The only upside is that I hear the words aloud, which arguably helps me write better dialogue. As for your question of whether there was a moment when I lost sight of the novel during those seven years, there were plenty of moments when I didn’t know where I was heading. But I never felt I couldn’t at least go somewhere. I’m compulsive, and write every day. Sometimes it’s worthless stuff that I toss aside the next day. But that’s just the way that I do it. And Caroline, you guessed correctly about the ending—it was different in earlier drafts. It was what I wanted the ending to be, but it was not as true. I went back and made it true. Q: What question didn’t I ask that I should have? A: You’ve asked the perfect, intuitive questions and I’ve gone on too long. Thank you for being so generous to so many writers and readers. Your blog is extraordinary, and I appreciate your hospitality and the chance to take part.